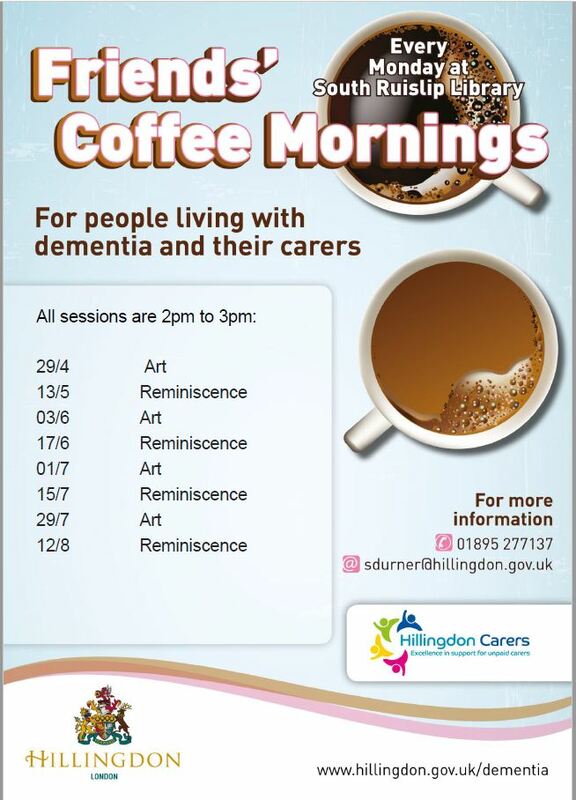 Lynne Kauffman, our Newsletter Editor has asked me to post on the Friends Coffee Mornings held at the South Ruislip Library on a Monday, the local event is for people with dementia and their carers. The event is run by Hillingdon and is there to offer some support and activities. The meetup looks like a good opportunity to get out and about and enjoy some good company. Details on the flyer with the events calendar.